Blemish free city Taken from The Amistad / Above Them split 7"
The Amistad / Above Them split 7"
The Amistad / New Bruises split 7"
The Amistad - No Hope, Radio! Orphan Choir / The Amistad split 7"
The punk rock sounds of 90's Chicago as filtered through the towns and cities of South Yorkshire... 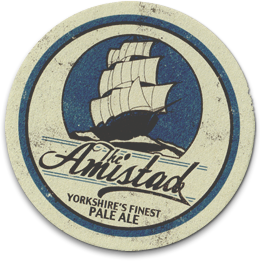 Bombed Out are proud to present The Amistad. The Amistad started life in January 2007. Rob, Matt and Mike had managed about one month apart since the last Four Dumb Kids gig and decided it was about time to get another band together. Matt had been living in Leamington for a while and drafted in his former housemate Frank (ex-Brutal Justice) to play drums. After a few months of practicing at various locations vaguely near the M1, their first gig was in June 2007. In November that year the band spent a weekend with Mark Sturgess at Soundstation Studios in Horbury and recording two songs for their debut split 7" with the Orphan Choir. This came out on Records Or It Didn't Happen / Document Records in March 2008. Just over a year later, in April 2009, they recorded two more songs for a split 7" with Above Them, this time at Stuck on a Name in Nottingham. This lovely little package was released on Disillusioned Records in June 2009. In July 2009 The Amistad returned to Soundstation to record their debut album for Bombed Out (they'd already worn us down thanks to a string of Four Dumb Kids demo's over the years). Kept Under by a Generation of Ghosts is the result and a belting little album it is too, coming across like Milloy covering The Broadways after a weekend of listening to Hooton 3 Car and Leatherface. And yes, The Amistad still manage to hold their own despite those lofty comparisons. Not surprising, perhaps, given the fact that they'd spent the previous year gigging with such punk rock luminaries as Textbook, Lemuria, Glass and Ashes, Young Livers, SNFU etc. In August 2009 Rob moved to Colchester and Matt completed the diaspora when he set sail for Montreal that October. Though Matt is now back in the UK, The Amistad have decided to saunter on as a "power-trio" which, going by recent gigs, suits them rather well.